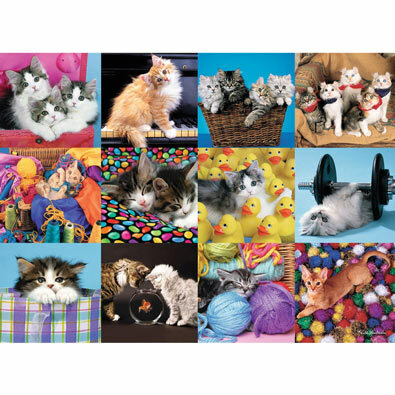 This 300 large piece jigsaw is designed by Keith Kimberlin and measures 14-1/4" x 19-1/2". This 300 large piece jigsaw is designed by Michael Irvine and measures 14-1/4" x 19-1/2". This 300 large piece jigsaw is designed by Howard Robinson and measures 14-1/4" x 19-1/2". This 300 large piece jigsaw is designed by Gerald Newton & Jeremy Pyke and measures 14-1/4" x 19-1/2".